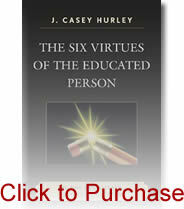 ← Are the six virtues ever vices? We all want #s 1 & 2. The hard part is #3. It is not enough to describe “effective” teaching. Paying higher salaries for all those descriptions would increase spending, not keep it the same or lower it. The hard part is defining “effective” teaching by saying what it always is and what it never is. That’s what definitions do. North Carolina’s existing standardized testing system provides the basis for the evaluation. End-of-grade tests and end-of-course tests quantify a student’s beginning and ending achievement for select categories of study. 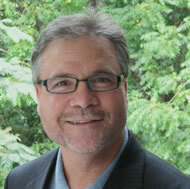 The increase measures the student’s educational growth. The percentage increase measures the student’s growth in a manner that can be compared across categories. These individual student measures can be compiled to determine an individual teacher’s impact, allowing the school system to identify the most successful teachers. For example, tests tell us the math proficiency of eighth-graders at the beginning of the year and at the end of the year. The student’s percentage increase in test scores is a measure of educational growth. The compilation of the growth of all of an eighth-grade math teacher’s students provides a measure of impact. The teachers who provide the greatest percentage improvement for their students should receive the greatest incentive payment. Success and reward are connected by linking the growth of all of a teacher’s students to the incentive. Successful teachers then enjoy a better income and recognition of their ability. How do EOG and EOC tests quantify a student’s beginning and ending achievement? What does that quantity look like? Is it a set of test scores? If so, is it the differences in percentile scores, raw scores, or correct answers? Is it ever a difference in something other than a test score? How does compiling scores determine a teacher’s impact? What does that look like? Is the author looking for higher test scores? If so, how do we know teacher “impact” caused them? Is a teacher’s impact anything other than a higher test score? How is a student’s “percentage increase in test scores a measure of educational growth?” What kind of “percentage increase” is meant? Is it an increase in percent correct, in a raw score percentage, or in a percentile? Is growth ever anything other than a percentage test score increase? How do we determine which teachers “provide the greatest percentage improvement,” without answering these questions? Many say “the devil is in the details.” I say the devil is in “the greatest percentage improvement.” No educated person cares about “the greatest percentage improvement” on standardized tests. I love irony. The state is saying scores determine teacher impact. That is ridiculous. I impact my students everyday whether mathematically, emotionally, socially, behaviorally, or just simply trying to put a smile on a young adolescents face. How can a score should impact? It simply can NOT! It can show how many people guess better from multiple choice trick questions from year to year. It can also waste almost an entire week of possible learning instruction, creativity, and REAL ACTUAL STUDENT GROWTH!! !